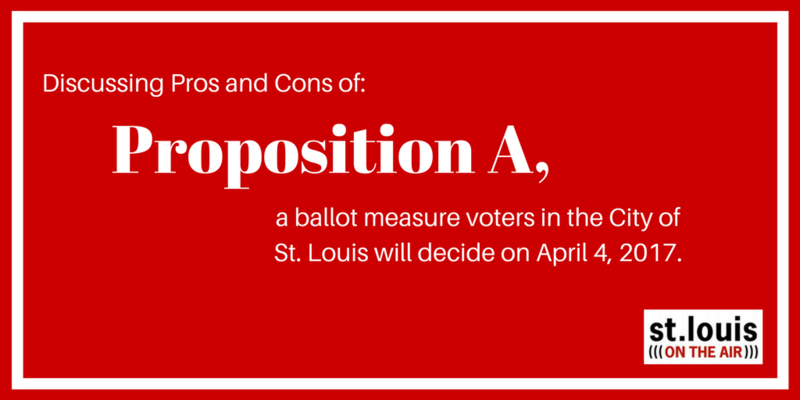 Ahead of the April 4 elections in the City of St. Louis and St. Louis County, St. Louis on the Air will host several pro/con discussions about ballot measures with a proponent and opponent of the measure at hand. Proposition A is a proposed amendment to the City Charter. The proposition would abolish the Office of the Recorder of Deeds and consolidate the functions of that office in that of the Assessor’s office. The savings from such consolidation would be put into a fund known as “the police body-worn camera fund.” Money from that fund would go to the purchase and use of police body-worn cameras for the Metropolitan Police Department. A 60 percent majority is required for passage. Missouri State Senator Jamilah Nasheed, representing the “pro” side of the argument. She is for the proposition. St. Louis Recorder of Deeds Sharon Carpenter, representing the “con” side of the argument. She is against the proposition. 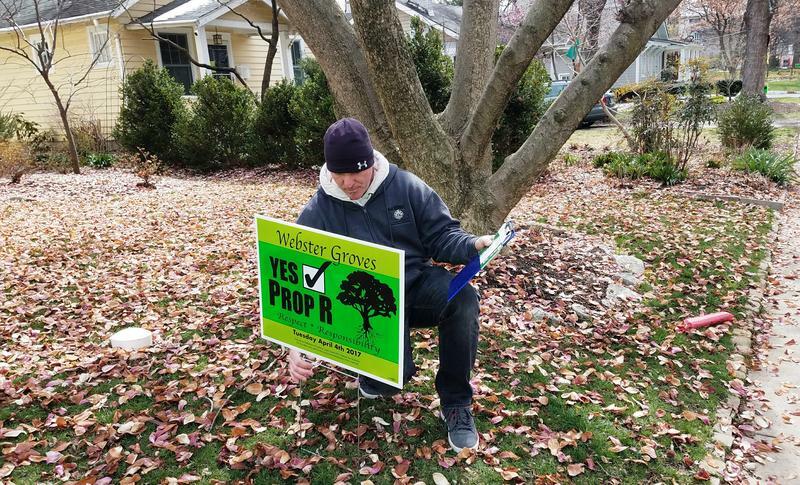 A discussion with a proponent and opponent of Proposition A, a ballot measure regarding the Recorder of Deeds office that voters in the City of St. Louis will decide come April 4. (Proposed by Initiative Petition) A proposed ordinance submitting to the registered voters of the City of St. Louis an amendment to Article XV of the City Charter repealing Sections 4 and 5 and enacting in lieu thereof four new sections, Sections 4, 4a, 4b and 5, the purpose of which is to abolish the Office of Recorder of Deeds and consolidate the functions of that office with that of the Assessor, and place any realized cost savings in a special fund known as "the police body-worn camera fund" dedicated to the purchase and use of police body-worn cameras by the city Metropolitan Police Department subject to appropriation from the fund by the Board of Aldermen for the express purpose of the fund (the full text of which is available at all polling places). PRO: Missouri State Senator Jamilah Nasheed wants you to vote “YES” on Proposition A.
Missouri State Senator Jamilah Nasheed. “The reason I decided to roll up my sleeves and begin to fight for body cameras is because we have a very serious problem here in the St. Louis area with community relations and police since the Ferguson effect. I’ve tried for the past three years to do it on the state level, to no avail, so I figured we’d bring it back home and try to do it on a local level. That’s when we decided to go after the [40,000] signatures so we could put it on the ballot for the voters to decide. Nasheed argues that Article 6, Section 32 of the Missouri Constitution gives voters in the City of St. Louis the power to reorganize or transfer duties to other county offices. Nasheed asserts that there does not have to be a Recorder of Deeds and that the Assessor could appoint a recorder in their department. 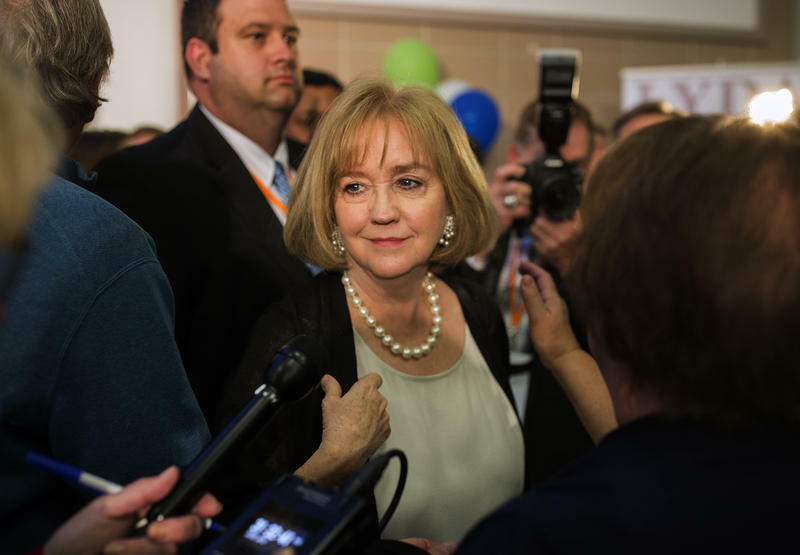 The Missouri State Auditor has visited the Recorder of Deeds office and found an inappropriate use of funds. Nasheed said that $453,000 from the preservation fund was used for rugs and travel which does not account for preservation. Another $313,000 was used for construction. “We can use that money towards body cameras.” St. Louis Police Chief Sam Dotson estimated the cost for body cameras would be about $1.2 million, and the over $700,000 from those projects alone would go a long way toward funding that need. Funds saved from the Recorder of Deeds account would be put into a body camera account, which the Comptroller would oversee. Funds could not be used for anything else. Nasheed argues that Carpenter is using preservation funds for her own leisure, such as carpets and travel, and therefore could be diverted to body cameras. CON: St. Louis Recorder of Deeds Sharon Carpenter wants you to vote “NO” on Proposition A. 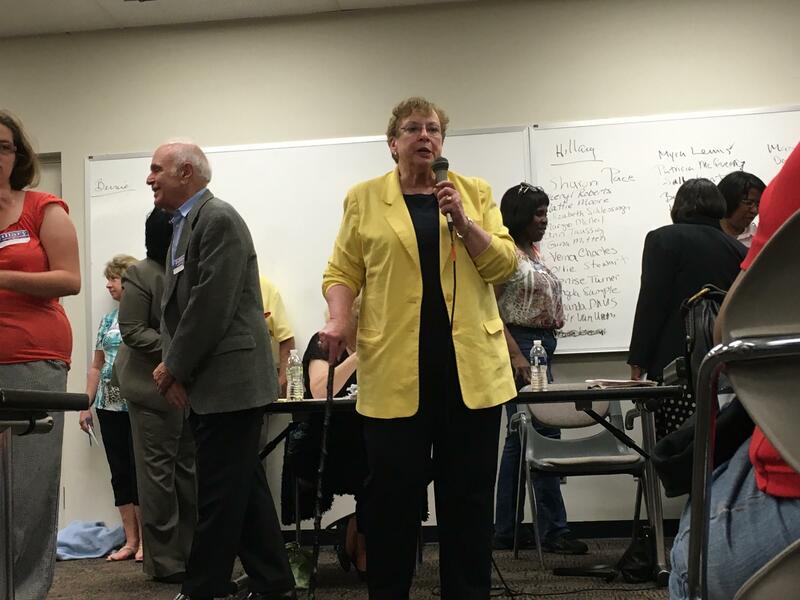 File Photo: St. Louis Recorder of Deeds Sharon Carpenter. “First of all, state law says that there shall be a Recorder of Deeds in every county of the State of Missouri and it shall be so identified. All first-class charter counties have the ability to combine offices, that’s in the state’s constitution. None of them have done it. St. Louis County has its own, everyone has their own. Carpenter argues that the Missouri Revised Statutes, Chapter 59, Section 101, says that there shall be a Recorder of Deeds in every county in the State of Missouri. The office is the oldest in state government, because people have needed documents certifying their property since before the city was founded. The only legally-acceptable documents (such as marriage licenses, real estate deeds) in courts, federal and state, are documents certified by the Recorder of Deeds Office. If there is no recorder of deeds, there will be no certified documents. Carpenter asserts that Senator Nasheed has not visited the Recorder of Deeds office and therefore does not understand the services provided. Carpenter said the Recorder of Deeds Office is up-to-date, with 70 percent of recordings being electronically filed. Without the preservation fund, there would not have been money to upgrade the system to handle those electronic recordings. “There is nothing in this office that is anything but up-to-date and in advance of most everyone including St. Louis County, including Kansas City and we’re the leaders. We’re the ones people from other states come to see,” she said. Carpenter said $453,000 and $313,000 were used to redesign the offices, which had not been updated in 47 years and the city has not paid out-of-pocket for any equipment for the Recorder of Deeds Office for 35 years. “I’m proud that I made the office more user-friendly,” she said. Carpenter argues that the preservation funds cannot be used anywhere but in Recorder of Deeds offices and that it could not go to general revenue. She said this has been argued in other counties.